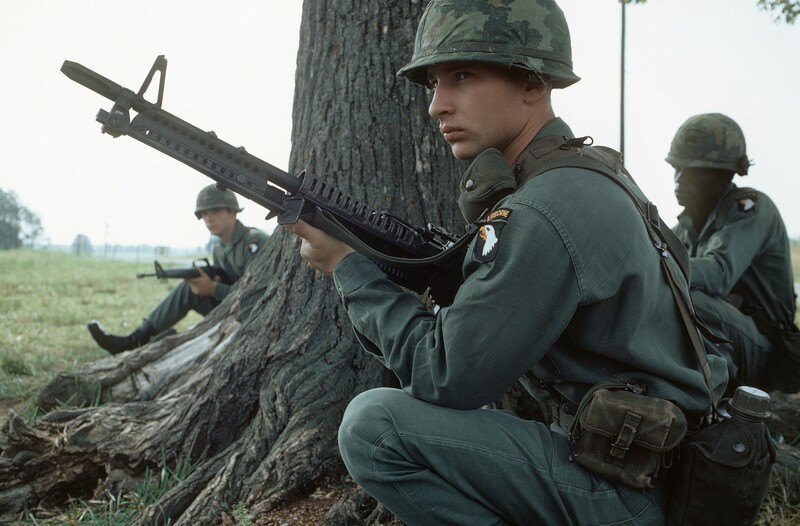 Perhaps no other firearm is so closely associated with the Vietnam War — or pop culture spin-offs — as the M-60 general purpose machine gun. Portrayals of the M-60 in the hands of American soldiers range from the sublime dignity expressed by the “Three Soldiers” statue in Washington D.C., to the over-the-top destruction of the fictional town of Hope, Wash., by Sylvester Stallone’s character John Rambo in the film First Blood. Yet the M-60 is a weapon that has served American soldiers in many battles since 1957. Far from perfect, the early model of the M-60 had so many design flaws that soldiers jury-rigged fixes using everything from wire coat hangers to empty C-ration cans. But even with its flaws, a soldier armed with an M-6o can lay down a lot of lead — and that’s true whether it’s in the jungles of Southeast Asia or the badlands of Afghanistan. “The M-60 was great to carry, having good ergonomics and the sling swivels mounted properly,” Tim Jackson, a former M-60 gunner with the 101st Airborne Division and the 2nd Infantry Division, told War Is Boring. The M-60 is an air-cooled, disintegrating belt-fed, gas-operated general purpose machine gun. It fires the 7.62-millimeter round with a cyclic rate of about 550 rounds a minute — a rate of fire that requires the crew to change the M-60’s barrel about every minute. The M-60 has a folding bipod … and it’s heavy. 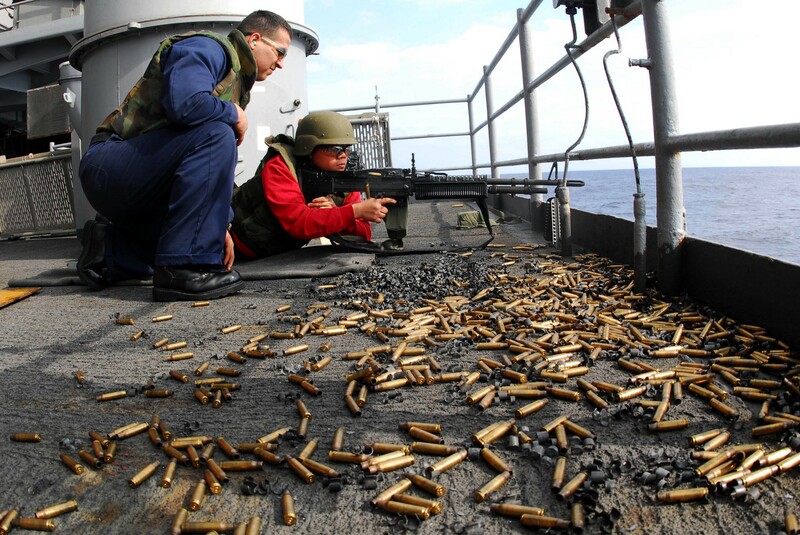 The machine gun weighs about 23 pounds, and its belts of ammo aren’t exactly lightweight, either. No wonder the M-60 earned a rather unflattering nickname — the pig. Yet the M-60 was — and is — a fixture in the U.S. military, serving as a squad support weapon, vehicle-mounted machine gun and as a “flex gun” mounted in the doors of helicopters such as the UH-1 Huey and the CH-47 Chinook. America started developing the M-60 after World War II. At the time, a bunch of other machine guns in the U.S. arsenal fired .30-caliber bullets, and the military was in the process of converting the NATO 7.62-millimeter round. A new round was an opportunity to develop a new weapon. The belt-fed MG-42 had a blinding rate of fire — qualities American weapon designers considered desirable. Prior to World War II, U.S. military training emphasized marksmanship over rate of fire. But experiences during the war proved that most combat takes place at relatively short ranges — where throwing out a lot of bullets matters more. When you have hundreds of bullets flying at you, your natural reaction is to keep your head down. While you’re doing that, other bad guys are moving into a position to finish you off. The same philosophy also contributed to the rise of the assault rifle. The German FG 42 — a paratrooper assault rifle — had equally desirable qualities, such as a gas-operated bolt that the Pentagon closely scrutinized. So American ordnance experts took the best Germany had to offer and developed a prototype machine gun. In 1957, the Pentagon adopted the weapon and dubbed it the “United States Machine Gun, Caliber 7.62 mm, M60.” It’s been in arsenals ever since. Some argued it wasn’t the best machine gun compared to foreign models, such as the FN MAG. But the U.S. could manufacture it at home, something that made congressmen with defense industries in their districts very happy. Still, the M-60 had its problems. For one, no one designing the M-60 remembered to put a wire-carrying handle on the barrel. That made changing the barrel an agonizing affair during firefights in Vietnam. To swap out the red-hot steel, an assistant gunner had to don asbestos gloves that looked like oven mitts. The guns were prone to jam. Ammo belts would sometimes bind to the weapon. Then some G.I. got a brilliant idea — just lash an empty C-ration can to the left side of the receiver so the belt would flow smoothly over the curved surface. By the 1980s, the military adopted the M-60E3, an upgraded version that fixed many of its shortcomings. Jackson said the M-60 is his favorite weapon. He considers it reliable, powerful and rugged even under less-than-desirable circumstances, such as a situation he encountered during non-commissioned officers school. The U.S. began to phase out the M-60 in the 1990s, but it’s still in use. 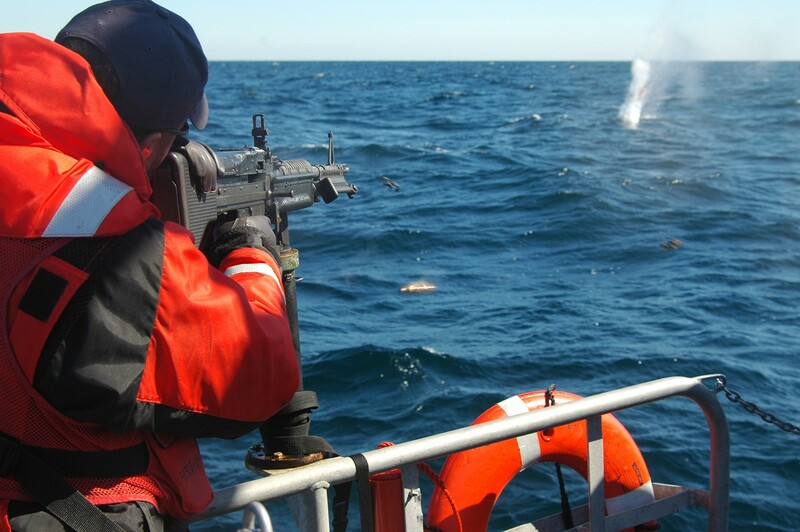 SEALs favor it, the Navy and the Coast Guard often have the weapons aboard ships — and Army Reserve units frequently keep M-60s in their weapon rooms. The M-60 has also proliferated around the world. Forty-five nations — many of them NATO and East Asian allies — continue to use the M-60 as their heavy-hitting, general purpose machine gun.